In my last DegustaboxI was sent a packet of Provena Gluten Free Oat Bread Mix. 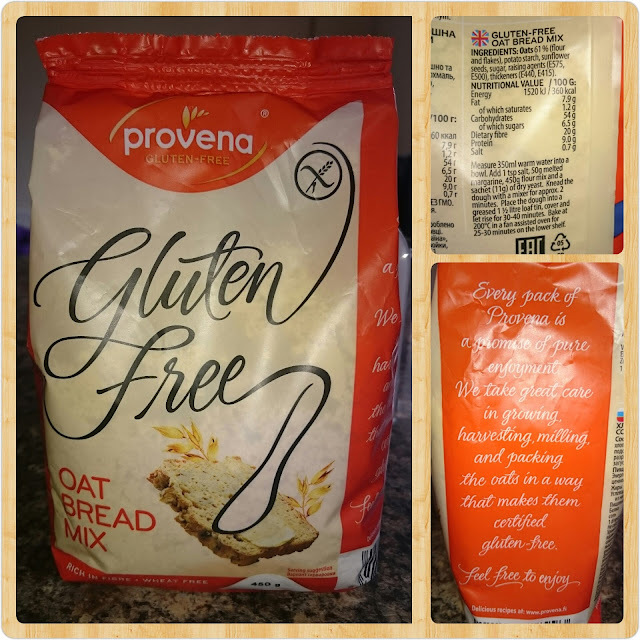 I was excited to give this a go, as I'm starting to love certain gluten free foods. I do not have a tolerance, but, something bloats me out, so I'm trying new products, to see if it is a mild gluten issue. I loved the packaging and I was very intrigued, so myself and the kids had a cooking day. I've been meaning to make bread with them for ages, so, this was the perfect opportunity. I would definitely try this again, with maybe less water to see if that makes a difference. However, it really did taste good. This is sold online for Holland and Barratt and Amazon. Have a look to see what other products Provena do for other Gluten Free Products www.provena-gluten-free.co.uk I know I'd like to try their Chocolate Muffins !! !